LATHAM, N.Y. -- Major General Anthony P. German, the Adjutant General for the State of New York, announces the promotion of members of the New York Army National Guard in recognition of their capability for additional responsibility and leadership. Nicholas Archibald from Tonawanda, N.Y. and assigned to the Joint Force Headquarters received a promotion to the rank of Sergeant First Class. Patsha Atkins from Buffalo, N.Y. and assigned to the 105th Military Police Company received a promotion to the rank of Private First Class. Wayne Barrett from Portvile, N.Y. and assigned to the Company A, 642nd Support Battalion received a promotion to the rank of Sergeant. Alex Bielawa from Rochester, N.Y. and assigned to the Company C, 1-171st Aviation Regiment received a promotion to the rank of Sergeant. Amber Black from Wellsville, N.Y. and assigned to the Company A, 642nd Support Battalion received a promotion to the rank of Private First Class. Ashley Braddock from Buffalo, N.Y. and assigned to the 105th Military Police Company received a promotion to the rank of Specialist. Brandon Brasfield from Greece, N.Y. and assigned to the Company A, 2-108th Infantry received a promotion to the rank of Specialist. Caleb Bullard from Lake View, N.Y. and assigned to the Headquarters and Headquarters Troop, 2-101 Cavalry (Reconnaissance, Surveillance and Target Acquisition) received a promotion to the rank of Private First Class. Nicholas Cali from Henrietta, N.Y. and assigned to the Troop A, 2-101 Cavalry (Reconnaissance, Surveillance and Target Acquisition received a promotion to the rank of Specialist. Stephane Gadji from Rochester, N.Y. and assigned to the Company A, 642nd Support Battalion received a promotion to the rank of Sergeant. Julian Goodrich from Lancaster, N.Y. and assigned to the Headquarters and Headquarters Company, 152nd Brigade Engineer Battalion received a promotion to the rank of Private. Nasjah Green from Buffalo, N.Y. and assigned to the Headquarters and Headquarters Troop, 2-101 Cavalry (Reconnaissance, Surveillance and Target Acquisition) received a promotion to the rank of Specialist. Philip Hutchinson from East Concord, N.Y. and assigned to the Brigade Signal Company, 152nd Brigade Engineer Battalion received a promotion to the rank of Specialist. Jared Kaminski from Rochester, N.Y. and assigned to the Military Intelligence Company, 152nd Brigade Engineer Battalion received a promotion to the rank of Staff Sergeant. Tyler Miller from Webster, N.Y. and assigned to the Company A, 2-108th Infantry received a promotion to the rank of Private First Class. Bryanna Paulisick from Falconer, N.Y. and assigned to the Company A, 642nd Support Battalion received a promotion to the rank of Private. Bradley Quick from Webster, N.Y. and assigned to the Company A, 2-108th Infantry received a promotion to the rank of Staff Sergeant. Joseph Schaumloeffel from Cheektowaga, N.Y. and assigned to the 152nd Engineer Support Company received a promotion to the rank of Specialist. Seth Schoenfelder from Buffalo, N.Y. and assigned to the Headquarters and Headquarters Troop, 2-101 Cavalry (Reconnaissance, Surveillance and Target Acquisition) received a promotion to the rank of Private. Verdell Singletary from Buffalo, N.Y. and assigned to the 27th Infantry Brigade Combat Team received a promotion to the rank of Second Lieutenant. William Snyder from Grand Island, N.Y. and assigned to the Headquarters and Headquarters Troop, 2-101 Cavalry (Reconnaissance, Surveillance and Target Acquisition) received a promotion to the rank of Lieutenant Colonel. Darius Spady from Rochester, N.Y. and assigned to the Joint Force Headquarters received a promotion to the rank of Sergeant. Sean Spooner from Fairport, N.Y. and assigned to the Headquarters and Service Company, 642nd Support Battalion received a promotion to the rank of Captain. Austin Stanley from Amherst, N.Y. and assigned to the Headquarters and Headquarters Company, 152nd Brigade Engineer Battalion received a promotion to the rank of Specialist. received a promotion to the rank of Sergeant First Class. Kieth Vosburg from Almond, N.Y. and assigned to the 827th Engineer Company received a promotion to the rank of Sergeant. Army National Guard promotions are based on overall performance, attitude, leadership ability, and development potential. 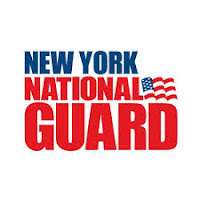 These promotions additionally recognize the best qualified Soldiers and attract and retain the highest caliber Citizen Soldiers for a career in the New York Army National Guard.